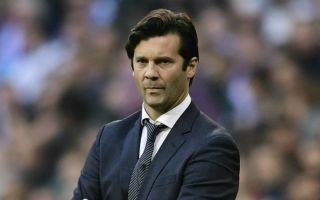 Real Madrid have confirmed their starting XI to take on Atletico Madrid in the second Madrid derby of the season this afternoon, with certain fans questioning this specific tactical decision from manager Santiago Solari. Real are set to take on Los Rojiblancos at the Wanda Metropolitano this afternoon, with a win for the home side set to see them close the gap on league leaders Barcelona to just three points. However, a win for Los Blancos would see Solari’s side increase their lead over fourth-placed Sevilla to nine points, and close the gap on Barca to five points in the process. Real have opted for a fairly strong line-up to take on Diego Simeone’s side this afternoon, with stars like Luka Modric, Toni Kroos and Karim Benzema all being handed starting roles. However, there’s no place in Solari’s starting XI for Gareth Bale, Marcelo or Marco Asensio, a tactical choice that may come back to bite Real in the tie. One decision from Solari that left fans confused and angry was the decision to start Thibaut Courtois over Keylor Navas. Courtois hasn’t been his usual self since moving from Chelsea in the summer, with Navas always proving to be reliable whenever called upon by Los Blancos over the years, thus we can see why some fans would question Solari’s decision. You can check out Real fans’ reaction below. Guess Solari should’ve started Navas, even if it is just to keep fans happy! It's a big match, why not play Navas??? Why?? WE NEED NAVAS! ?? what's Thibaut doing in the post when you have Navas? Why Courtois instead of Navas ? The only weak link in the squad is Courtois .